I’m sure it’s no secret that I love chocolate and sweets. Between my favorite chocolate chip cookie recipe and dark chocolate, I’m always having something sweet around. 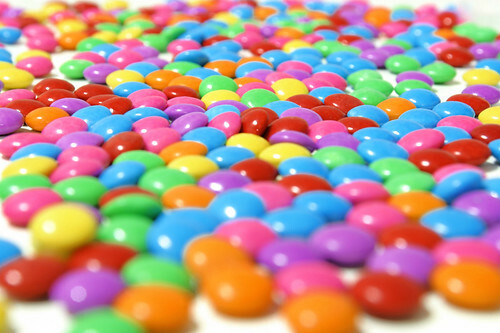 I like to avoid consuming too many sweets in a day. I’ve picked up a technique that really helps to avoid the sugar. If you are craving a piece of chocolate, a cookie, or a candy bar, stop and put it in a drawer. Then fill up a large glass or bottle of water. Mine is about 20 ounces. Drink the entire bottle of water. This will take some time to do. If, after you drink the water, you still want the treat, go for it. I suggest only having a bite or a piece. You may find that your craving has subsided – and then you’ve saved yourself your calories. We all need sweets and treats from time to time but it’s also important to find a balance. I hope this little trick will help you to manage those sugar cravings. Share your favorite tips and tricks below.